As a student or alum who identiﬁes as Lesbian, Gay, Bisexual, Transgender, or Queer, you may have questions about your job search that your straight and cisgender peers may not. College is a time when many individuals explore their gender identity and sexual orientation as well as begin to explore career interests. Some LGBTQ people may feel behind in their career development relative to their straight peers. It is not uncommon to feel that you have not yet had the energy or mental space to devote to your career development. In addition to the resources above, consider making an appointment to speak with a career counselor to help you think through options. Other considerations include the extent to which you would like your career to incorporate your LGBTQ identity. Do you want your identity to have a major role, such as working for an LGBTQ advocacy group? Or expressed in a smaller way, like joining the LGBTQ affinity group for employees at an organization? As an individual and a LGBTQ candidate, you can bring unique assets and strengths to your career and the workplace. Make a list of the personal qualities and values you’ve gained from being a member of the LGBTQ community. Consider what you bring from challenges overcome or nuanced understanding by nature of your identity. LGBTQ employees may bring empathy and respect for diversity. You may choose to become an advocate in the workplace (i.e. by joining or starting an LGBTQ aﬃnity group). What have you learned from direct involvement in organizations and your life experiences? Keep these in mind as you explore careers, build your resume and cover letters, and prepare for interviews. We invite you to discuss your career-related concerns, questions and strategies with a CCE career counselor. Most are Safe Zone trained and all are equipped to help you think through the important decisions involved in your job search. To schedule a career counseling appointment or mock interview, call 212-854-5609. We also encourage you to seek out support from the broader Columbia LGBTQ community- please see below for more information on resources available to you. Additionally, it is important to inform your references whether or not you are out in your job search, which name and pronouns you will be using in your search, and what information you are comfortable with them disclosing to potential employers. Have this conversation before providing your references’ contact information to employers. What name to use when applying for jobs is a very personal decision. You may wonder whether to use your preferred name or the name on your government-issued ID when submitting a resume and cover letter. There is no right or wrong answer. Resumes and cover letters are not legal documents. It’s ﬁne to write the name you use even if it does not reﬂect the name on your government-issued ID. For trans and genderqueer people, doing so may help you to communicate your gender identity with your employer. However, documents used for background checks, social security, tax or insurance paperwork should have your legal name on them. Include your ﬁrst initial of your legal name, or your full legal name with the name you use in quotes. For example, M. Lydia Robinson or Michael “Lydia” Robinson. Use the name on your government-issued ID and disclose your gender identity and name later in the hiring process or after an oﬀer has been made. Write the name that you use if you are comfortable coming out early in the hiring process or if you are already acquainted with the hiring manager or recruiter. Should you include information on your resume or in a cover letter that directly associates you with the LGBTQ community? For example, you may wonder whether to include LGBTQ-specific awards or scholarships, advocacy work, or involvement in LGBTQ student organizations. Whether or not to come out on a resume or cover letter depends on your own comfort level and interest in sharing your sexuality or gender identity with others. It is a very personal decision to come out at any stage of the job search process. As such, there is no right or wrong answer. While it is important to some people to be out and visible, others prefer to be more private. Ask yourself: is it important to you to be out at work? Be sure to research your work environment. Is it likely the organization you’re applying to is LGBTQ-friendly? If you’re concerned they are not, you may choose to highlight the skills you developed but not the organizations you worked with. Is a particular activity, award or experience relevant to the job you are applying for? If the experience does not demonstrate relevant skills you may choose to leave it off at this point. Below, see the same experience described in ways that focus attention on the role and accomplishments. If there is concern about the organization name, abbreviations are okay. You may also choose to list it as a diversity, community or minority organization without naming it. Collaborate with local youth organizations to promote social justice through education. Choosing what to wear to professional meeting, interview or networking event can be particularly challenging for queer and trans job seekers. The decision to dress according to “traditional”, cisgender norms or to wear clothes that allow you to express your gender identity may vary over time and from interview to interview, depending on your personal comfort level. Your knowledge of the particular employer or industry may inform your decision. Ideally, wear clothing that makes you feel conﬁdent. If you are interviewing or networking in a conservative, corporate environment, you may consciously choose to dress in gender normative attire. For organizations that are more liberal, and particularly those that have shown they are LGBTQ-inclusive, you may feel comfortable wearing clothes typically associated with the gender with which you identify. Or you may choose to dress in gender-neutral or androgynous clothing. Like the decision to come out on a resume or in an interview, this is a personal choice and will be impacted by your own level of comfort as well as your research on the particular employer or ﬁeld. One way to share your LGBTQ identity is to ask questions about aﬃnity groups or employee resources that the employer oﬀers to LGBTQ employees. Or, you may bring up your involvement in LGBTQ-related leadership or advocacy as evidence of skills and knowledge you can bring to the organization. Think about what assets you have as an LGBTQ candidate. Are you more empathetic towards others? Do you pick up on subtle nonverbal cues and interpersonal power dynamics? Do you bring a perspective that may be lacking in the organization? These may be strengths you wish to share in an interview. Employers might ask about your sexuality or gender identity, keep in mind that it is your choice whether to answer the question directly or not. In some states it is illegal to make a hiring decision based on your answer; in other states it remains legal to discriminate against people because of their LGBTQ identity. In New York State, it is illegal for employers to discriminate based on sexual orientation, and in New York City, both sexual orientation and gender identity are protected by state and local laws. (Check with the Human Rights Campaign and New York Attorney General’s office for the latest information). There are many ways to redirect the conversation or dismiss the question as irrelevant to your employment. For example, if asked about your sexual orientation, you can simply ask if it is relevant to the job you are interviewing for. Conversely, you may choose to bring up your identity/(ies) to gain a sense of the company’s culture or the employer’s openness. You can build confidence by preparing to answer the questions you are most nervous about and practicing tactfully negotiating questions around your sexuality. Schedule a mock interview with a career counselor to practice! Domestic Partner Benefits including health and life insurance, educational grants, access to facilities, etc. The Human Rights Campaign’s Corporate Equality Index is a useful tool for identifying LGBTQ-inclusive employers. The Office of Multicultural Affairs (OMA) aims to promote an inclusive university climate by acting as an educational resource that prepares students to succeed in a heterogeneous and ever-changing society. The Office provides a supportive environment for intercultural communication, constructive interaction and mutual understanding. OMA aims to strengthen and enhance the richly diverse fabric of the Columbia community by providing and supporting programs and services related to diversity issues. Learn about LGBTQ @ Columbia, which provides advising, advocacy and resources for LGBTQ students, and curates the Trans @ Columbia page dedicated to providing up-to-date policies, services, and resources for Columbia’s transgender community. LGBTQ affiliated student organizations on campus can provide a support network to foster identity development and allow for connections. 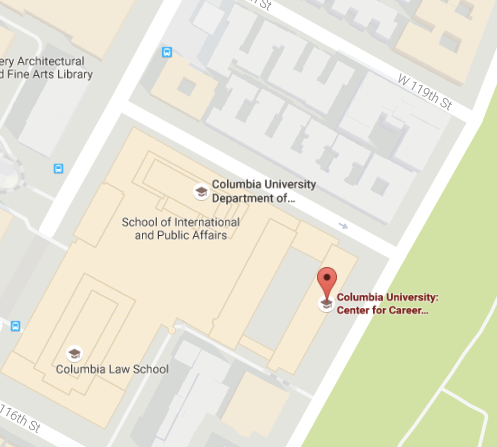 For a list of Columbia Gender & Sexuality groups, visit the LGBTQ @ Columbia website. Many groups welcome students from all Columbia schools to attend events and become members. Columbia iQ and qSTEM are undergrad and grad groups respectively, focused on the fields of Science, Technology, Engineering, and Mathematics (STEM). An additional group with a pre-professional focus is the Columbia Queer Business Society. Columbia Pride’s mission is to build community among Lesbian, Gay, Bisexual, Transgender, Queer, and Questioning (LGBTQ) alumni of all schools of Columbia University in the City of New York, to foster a safe environment for Columbia’s LGBTQ students, to strengthen the LGBTQ student community, and to deepen the sense of connection between the LGBTQ alumni and student communities, and between these communities and Alma Mater. The Human Rights Campaign maintains a list of industry specific LGBTQ Professional and Student Associations, we’ve highlighted general career resources here. Out For Undergrad: Dedicated to helping high-achieving lesbian, gay, bisexual and transgender (LGBT) undergraduates reach their full potential in their careers. Hosts career conferences in the fields of Business, Marketing, Engineering and Technology. Diversity in the Workplace: A magazine highlighting diversity related news, top 50 employers, workplace issues and professional development opportunities. Human Rights Campaign: Employee resources on everything from coming out to addressing workplace discrimination. Out Professionals: Leading LGBT networking site with a fairly extensive LGBT-centered job bank. These are sample fellowships and research opportunities that are available for Columbia students. Be sure to connect with your faculty advisor and the Office of Fellowships to find out additional opportunities. Anti-Violence Project: AVP provides direct services to survivors of all forms of violence and to those who love and support them. Sylvia Rivera Law Project: SRLP works to improve access to respectful and affirming social, health, and legal services for low-income people and people of color who are transgender, intersex, or gender non-conforming.